A Northern Ireland DUP Assembly Member has told children at a school that homosexuality is “an abomination”. Tom Buchanan, a retired school teacher, made the remarks last week during an Assembly ‘Let’s Talk’ event. The discussion was held at the Westville Hotel in Enniskillen, County Fermanagh. Mr Buchanan, a member of the Democratic Unionist Party, was asked to outline his views on homosexuality and equal marriage. He responded by saying that homosexuality “isn’t right” and is “an abomination”. The Ulster Herald reports the majority of students voiced their disapproval at the comments – although some applauded. Mr Buchanan belongs to the same political party as controversial Northern Ireland Health Minister Edwin Poots. 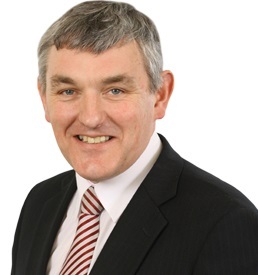 The senior DUP politician has repeatedly been in the headlines following his unsuccessful legal attempts to prevent civil partners and unmarried couples from adopting children in the province – along with maintaining the lifetime ban on gay men giving blood in Northern Ireland. The DUP has repeatedly blocked efforts to legalise equal marriage in Northern Ireland.